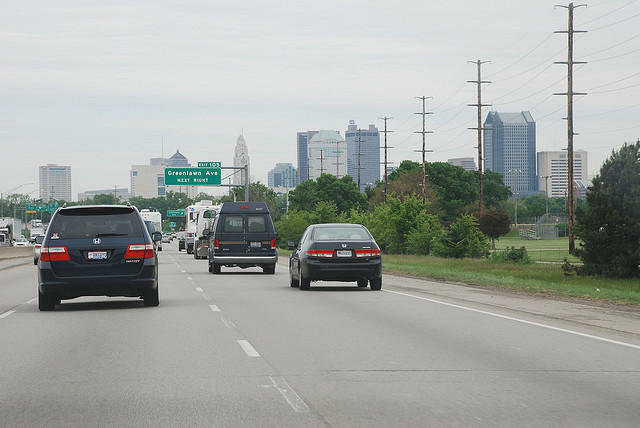 Detroiters hit with driver responsibility fees have a new way to get their drivers licenses back as soon as this month. 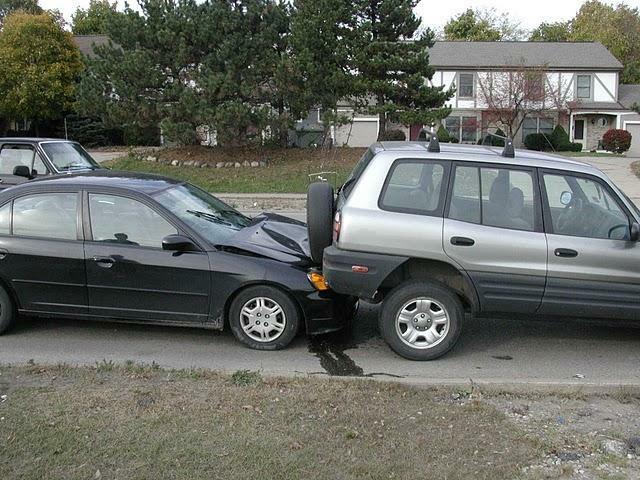 The city announced a program Tuesday that allows residents to clear those fees before automatic statewide forgiveness kicks in October 1. 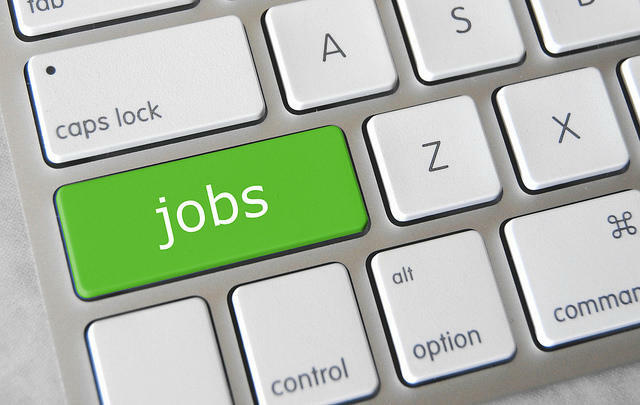 The only requirement: residents must complete at least 10 hours of free workforce development training. 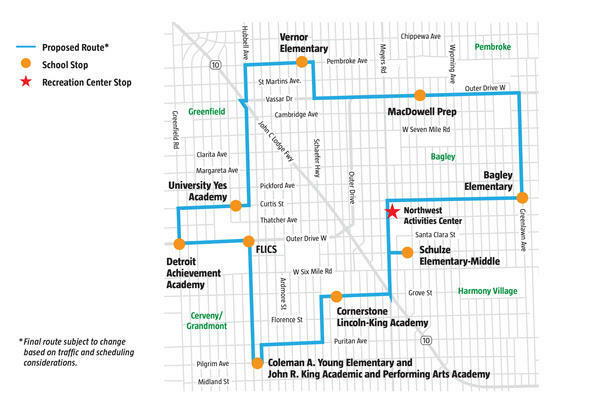 Detroit Mayor Mike Duggan has proposed a city-wide education commission, but lots of key details are still in the works. 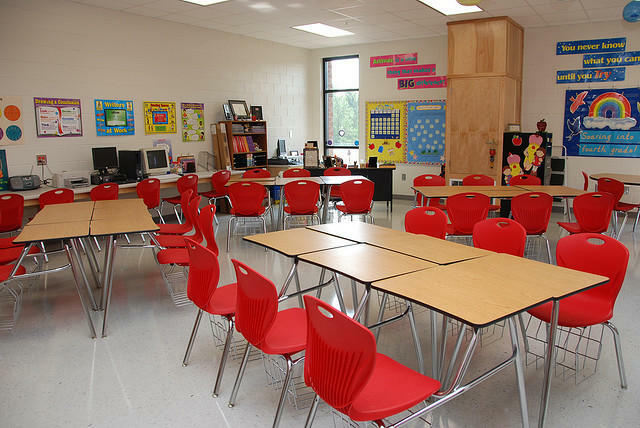 The commission would be “convened” by the mayor’s office, and include teachers, parents, and other representatives from both traditional public and charter schools. 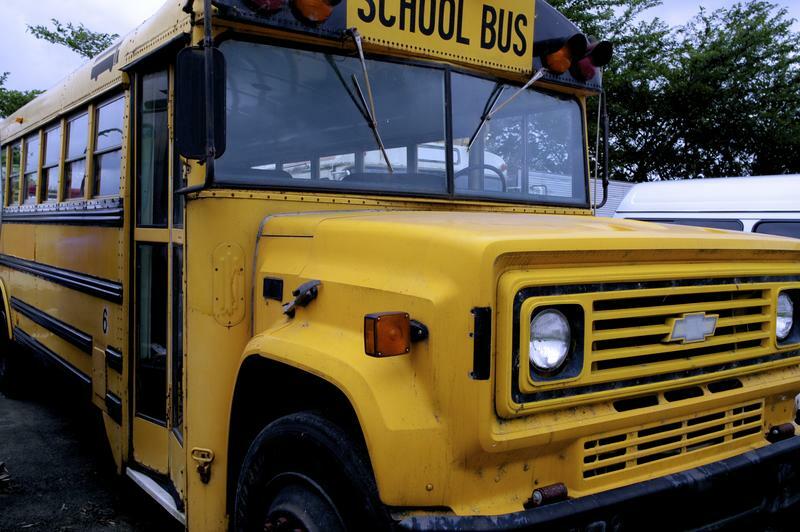 It would mainly serve in an “advisory” role, and would lack the power to do things like open or close schools, according to Duggan’s office. We’ve had such a dearth of leadership in Michigan for so long that it seems amazing when you actually do see it. This is a state, after all, where nobody can seem to come up with a way to fix the roads, despite overwhelming public demand that they do so. 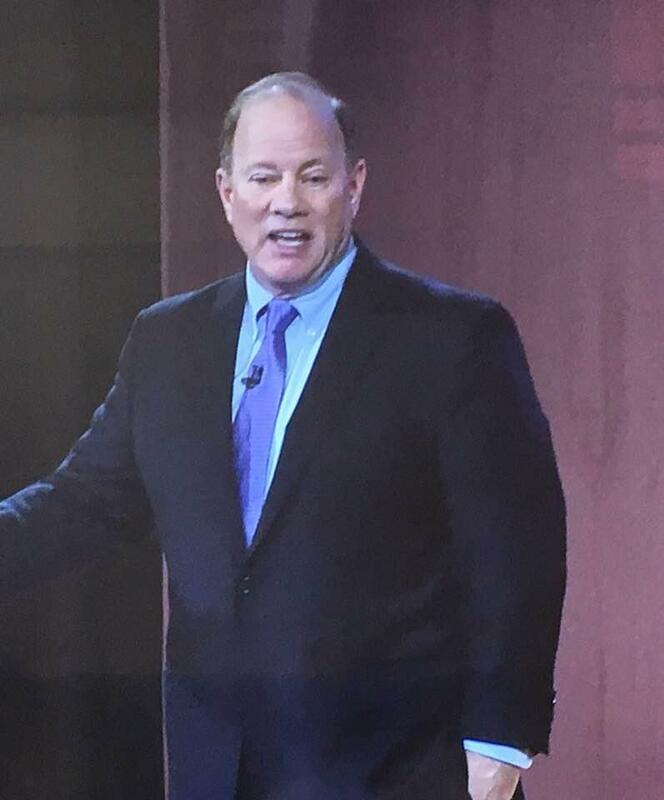 Detroit Mayor Mike Duggan delivered his annual State of the City address last night. He talked about ways to improve the city's public schools, and the city's demolition program. Michigan Radio's senior news analyst Jack Lessenberry joined Morning Edition host Doug Tribou to discuss the speech. 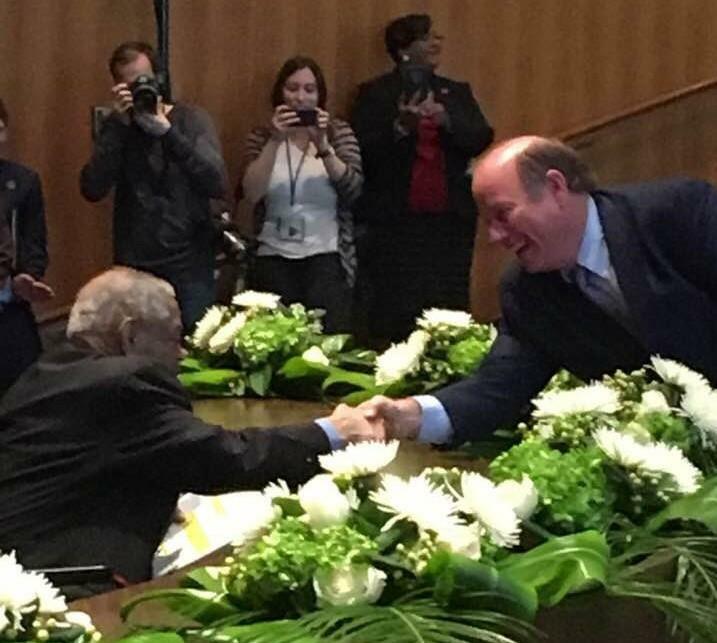 With a few words during his annual State of the County address Wednesday night, Oakland County Executive L. Brooks Patterson appeared to doom an effort to revive a regional transit plan for metro Detroit. This year’s gathering of Metro Detroit’s “Big Four” political leaders highlighted more points of division than unity. 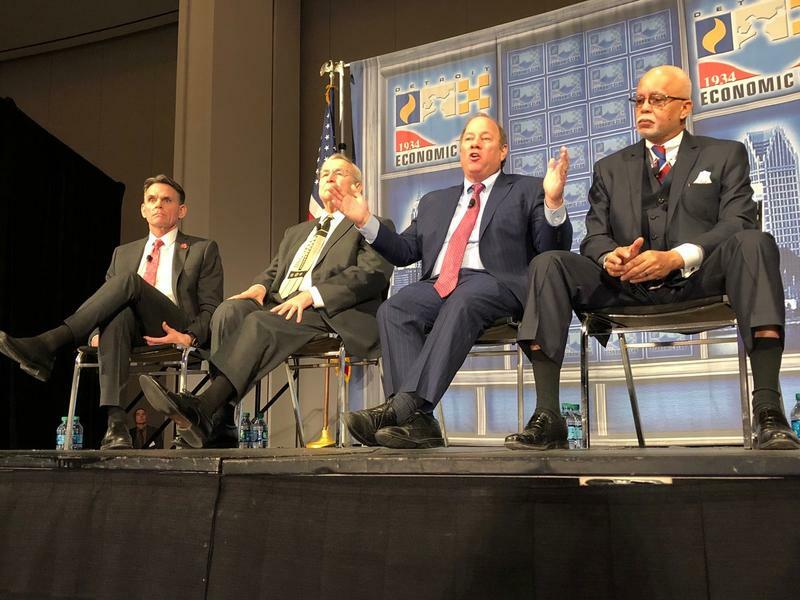 Those leaders are Wayne County Executive Warren Evans, Macomb County Executive Mark Hackel, Oakland County Executive L. Brooks Patterson, and Detroit Mayor Mike Duggan. A spirit of regionalism did not prevail at this year’s event, held annually at Detroit’s North American International Auto Show. And the future of regional transit was a major source of contention. Detroit swore in a crop of city officials to new, four-year terms Tuesday. Unlike four years ago, when the city was just about to emerge from bankruptcy and was still still under state control, this time nearly all are incumbents who have done the job before. 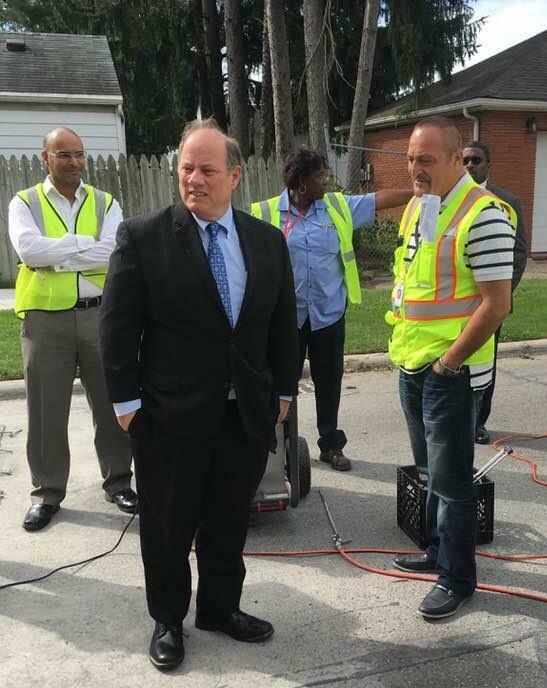 That includes Mayor Mike Duggan, who says he’s back for another full, four-year term. 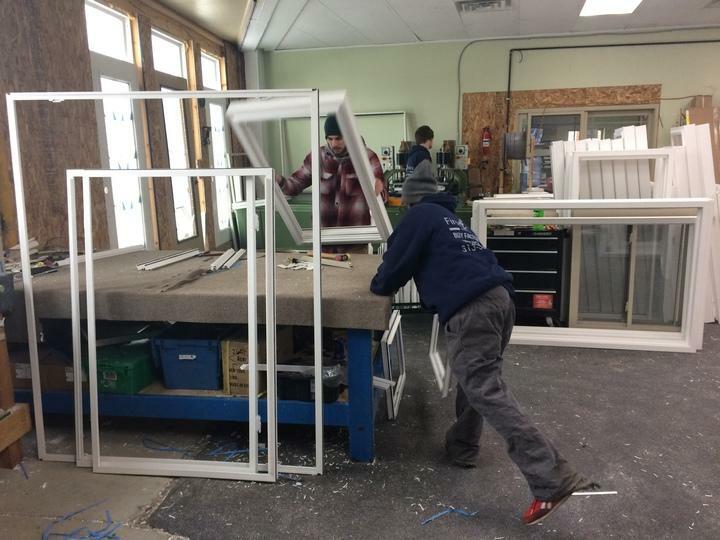 The Detroit Wayne Mental Health Authority is under fire for wasting millions of its $730 million Medicaid budget on overpayments to subcontractors, which its board frequently chooses not to recoup. That means fewer dollars are getting to people in need. But there's no question the authority still helps a lot of people with essential services that improve the quality of their lives. Eighty-thousand of them, in fact. 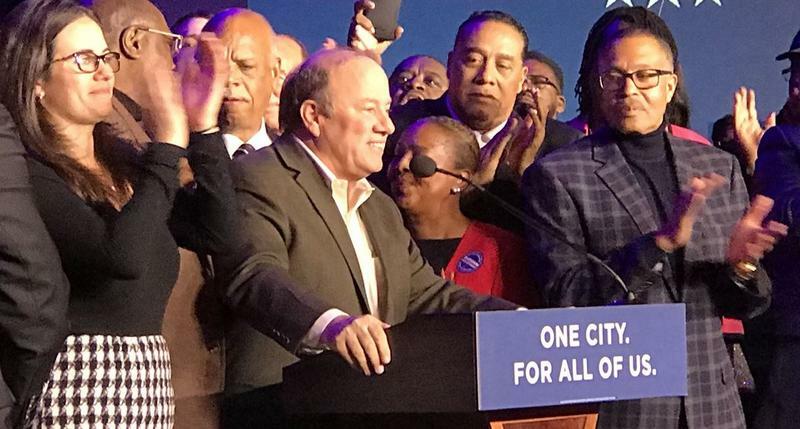 As expected, Detroit Mayor Mike Duggan coasted to an easy re-election victory Tuesday night, defeating State Sen. Coleman Young II with over 70% of the vote. Campaign finance filings reveal the lopsided nature of Detroit’s mayoral race between Mike Duggan and Coleman Young II. 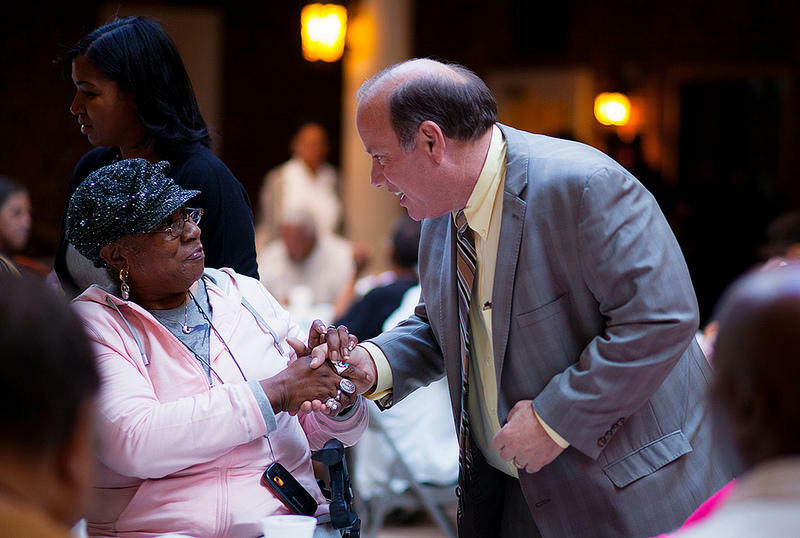 First-term incumbent Duggan raised more than $752,000 since the end of August. 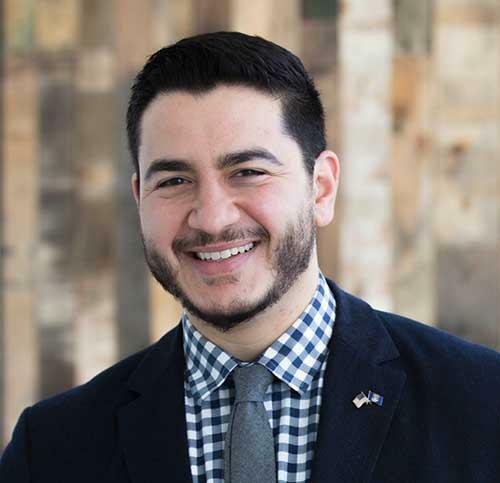 His campaign has raised over $4.2 million since he won the mayor’s office in 2013. By contrast, Young’s campaign raised just under $20,000 in the past couple of months, and a total of $53,680 for the whole election cycle. Duggan’s campaign finance filings also show he’s built a national donor base in the past four years. Detroiters will vote for mayor on Tuesday, and first-term incumbent Mike Duggan is expected win re-election handily. 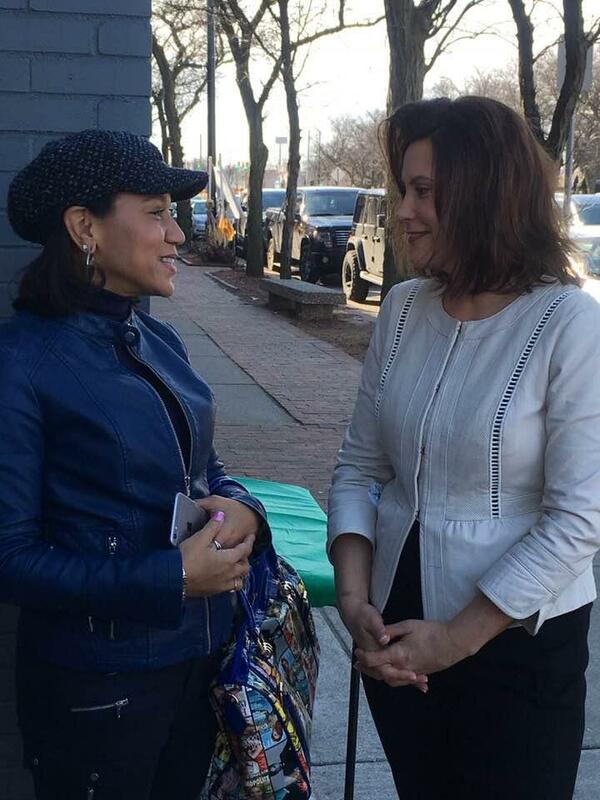 That’s despite his opponent having one of the best-known names in Detroit political history. 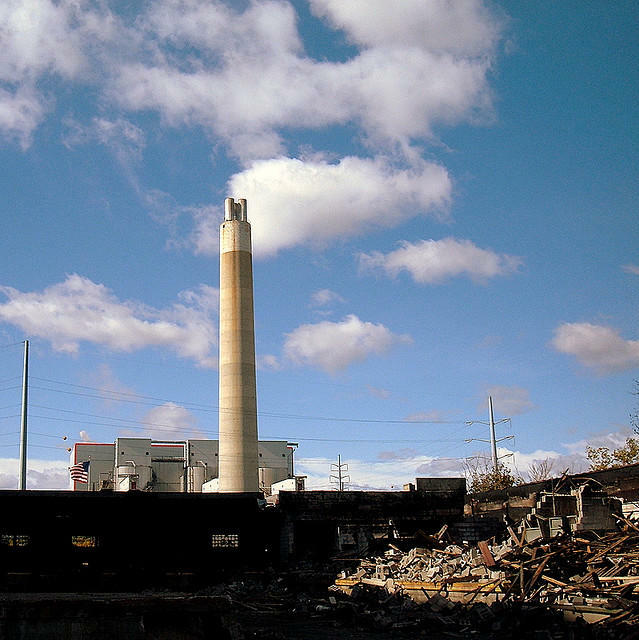 And it’s despite Duggan’s time in office exposing some major rifts in a rapidly-changing city. Jack Lessenberry for Thursday, October 26. To his credit, Detroit Mayor Mike Duggan agreed this summer to a single televised debate with State Senator Coleman Young II, who ran far behind in the August primary. Duggan, in fact, got more than two-thirds of the vote in a seven-candidate field. 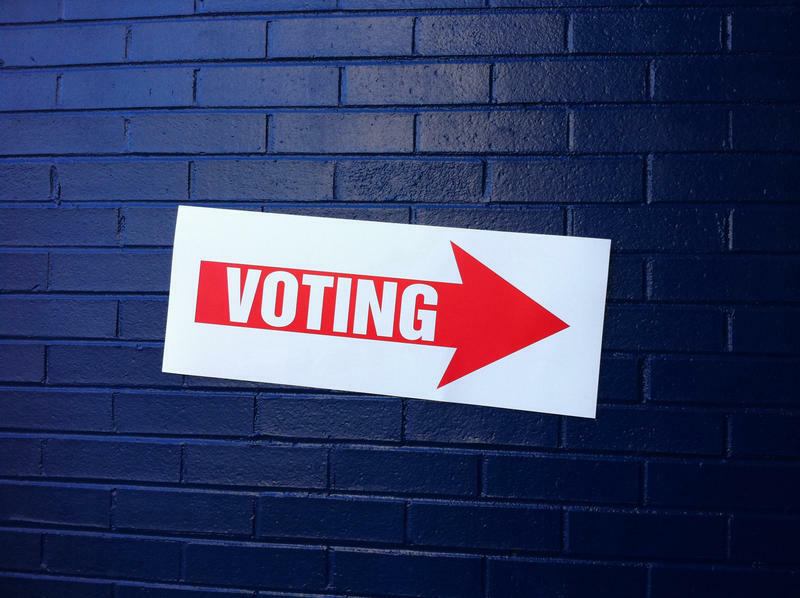 Many cities don’t even hold a runoff when one candidate gets a majority in a primary. 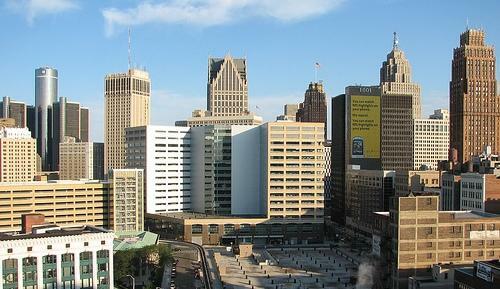 Other Detroit mayors in similar positions have refused to debate their opponents. But Duggan did. Stateside's conversation with Chastity Pratt Dawsey of Bridge Magazine about the debate. She was one of the panelists questioning the candidates last night. Detroit’s one and only debate between its two mayoral candidates got very contentious last night, with plenty of personal attacks. 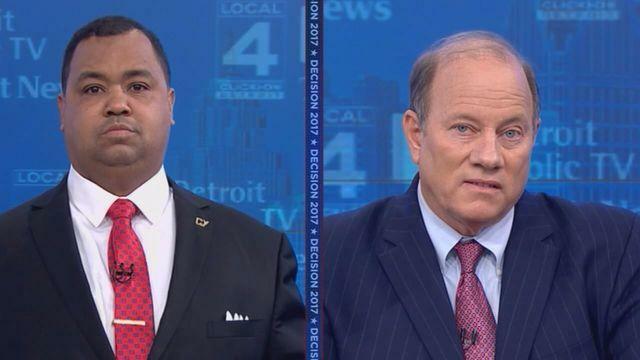 Detroit Mayor Mike Duggan debated his challenger for the upcoming November 7 general election, state Sen. Coleman Young II. As you may know, Amazon is looking for another city in which to build a vast new headquarters that could mean billions in investment and up to 50,000 jobs. Not surprisingly, just about every city wants that. 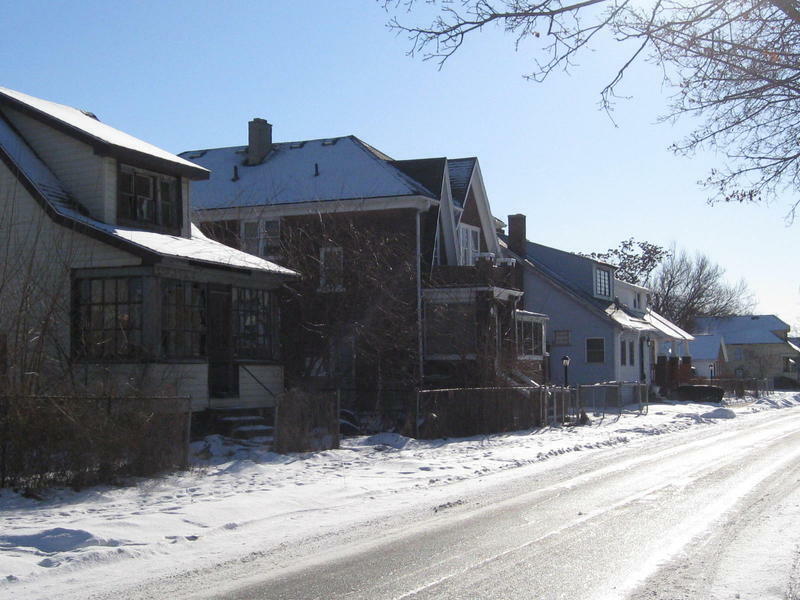 But the place where it might make the most difference for the local economy is, of course, Detroit. 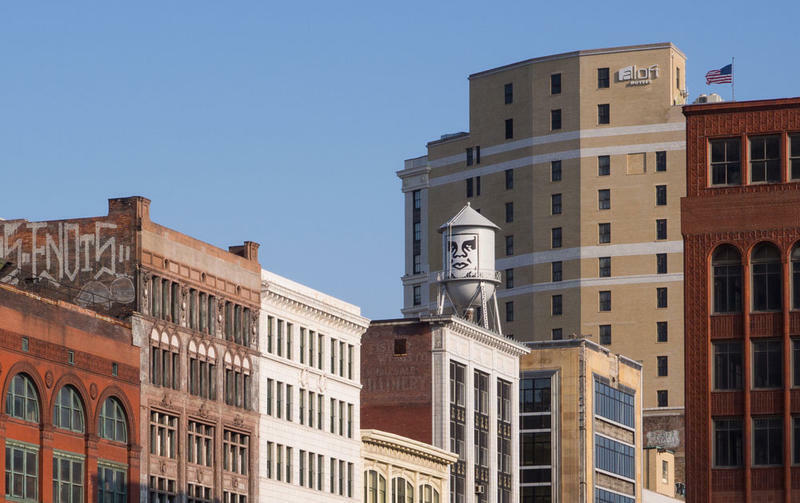 Dan Gilbert, the Quicken Loans czar who many regard as Detroit’s capitalist savior, is heading a task force that will submit a bid in the next two days to the giant mail order retailer. Mayor Mike Duggan would do just about anything to lure Amazon.